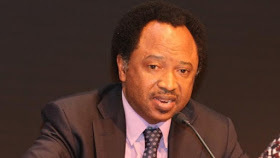 Senator Shehu Sani, representing the Kaduna Central Senatorial District, joined the People's Redemption Party on Tuesday three days after quitting the All Progressives Congress. Sani made this known in Abuja in a statement by his special adviser on politics and ideology, Mr. Suleiman Ahmed. He said, "It has become impossible for the senator to continue to deal with reactionaries and their perfidious and hostile political style. "Sen. Sani retains the highest respect and honor for President Muhammadu Buhari, but we prefer to live in a Cottage of Honor rather than a Shame Villa.